Gippsland free store activist arrested and charged. This morning in Sale Victoria the “Gippsland free store” was again shut down after complaint by a bank branch. 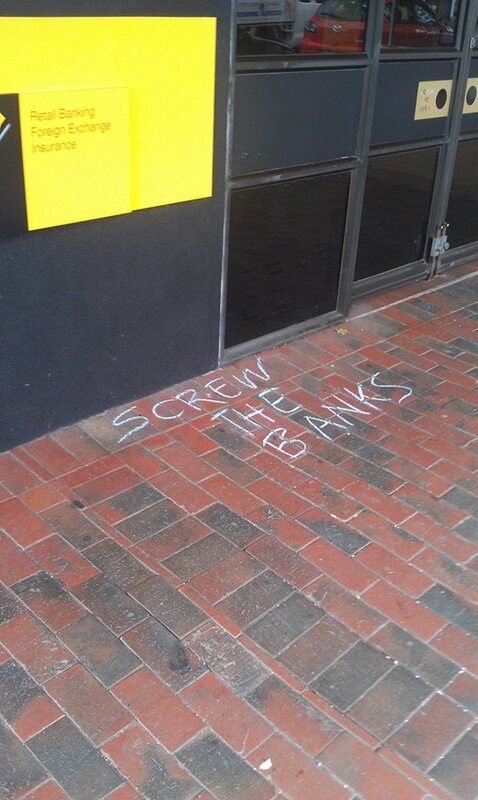 Victoria police scrambled to the bank where a free shop activist was alleged to have been writing on the footpath with chalk and handing out political campaign flyers. 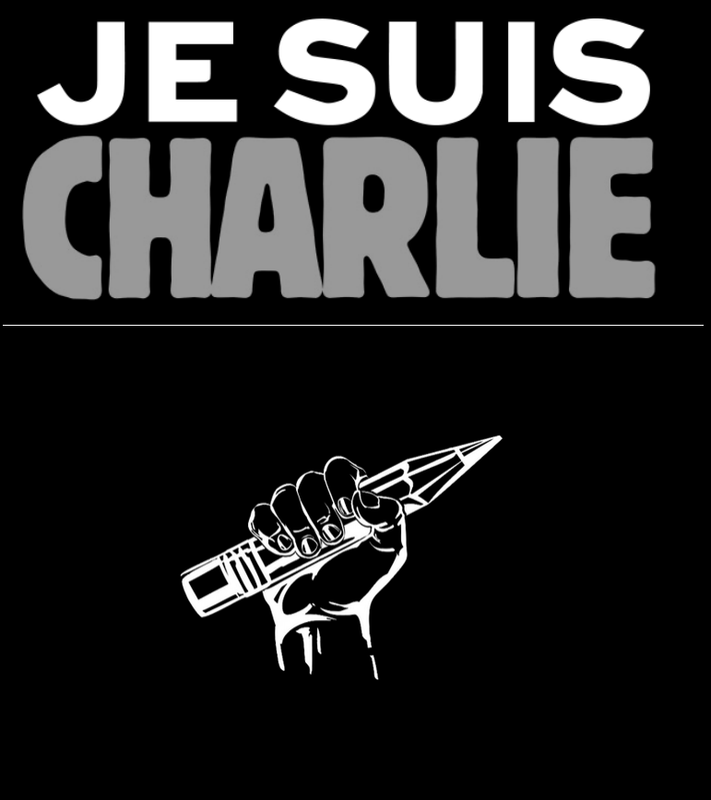 The activist has stated he did not write on anything vertical and it was an unlawful arrest. Writing political messages on the footpath with chalk is not destructive in anyway, it is not illegal and has always been a valid form of political expression. Australia’s behavior in relation to treatment of political activists and human rights in general has sent alarm bells ringing among civil liberties groups globally this federal election year. Being able to express your political opinion is more important than ever before, even with social networking gimmicks such as facebook it is getting harder counter the dominance of the global media machine and corrupted governments. 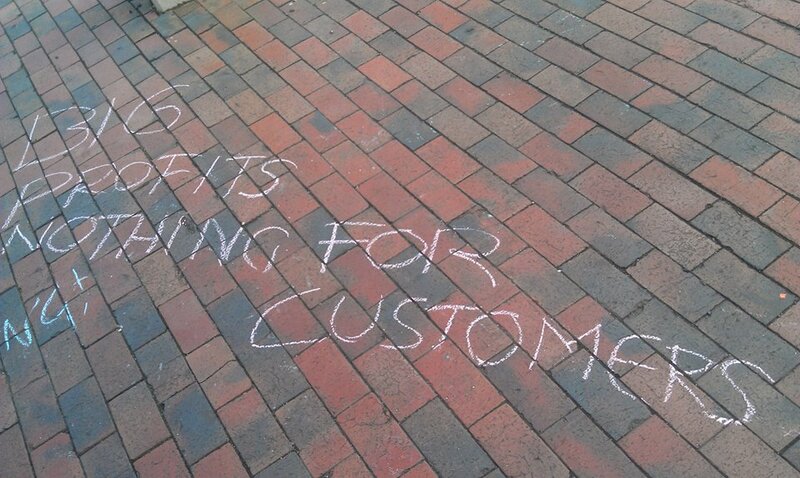 Regardless of our ideals, its a human right to express them even with chalk on a footpath. More info at Gippsland free store. The first Gippsland “free store” was shut down today after a suspected complaint by a bank branch. Police & council officers demanded to see papers for the “free store”. The police then pressured the participants into leaving. The free store emerged out of the global occupy protest movement against banks, current trading system & status quo. It’s a protest tactic, a system and a cultural idea which is non- confrontational and open. Most free stores are run by local activists wanting to continue raising awareness about the trading systems and other related issues . It has had a overwhelmingly positive response by people wanting to re-engage with others in their own communities. The Gippsland free shop will be back next week!